This program is designed for residents seeking assistance, wishing to utilize facilities or programs offered by Plainfield Parks and Recreation. Program funded by sponsors of Splash Island. Applicants must be a current resident of the Town of Plainfield to be considered. Applications will be considered for recreation/aquatic center memberships or program registration fees. Each person(s) requesting assistance from the Beneficent Fund established by the Plainfield Parks and Recreation Department must submit a complete application. Each application submitted will be reviewed by the Beneficent Fund Committee. 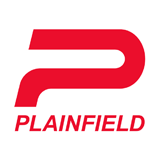 The Committee shall be made up of the Plainfield Town Manager, Plainfield Town Council Liaison to the Parks and Recreation Department and the Director of the Plainfield Parks and Recreation Department. Applicants will be notified in writing after application has been reviewed. Residency – Applicants must live within Town limits. Need – Based on membership or program applying. Federal Poverty Guidelines –When reviewing household income and persons in the household, the HHS Poverty Guidelines will be used. To view and print off an application form, click here: Beneficent Fund Application 2014 .